Germany was divided between west and east for 45 years after World War II. 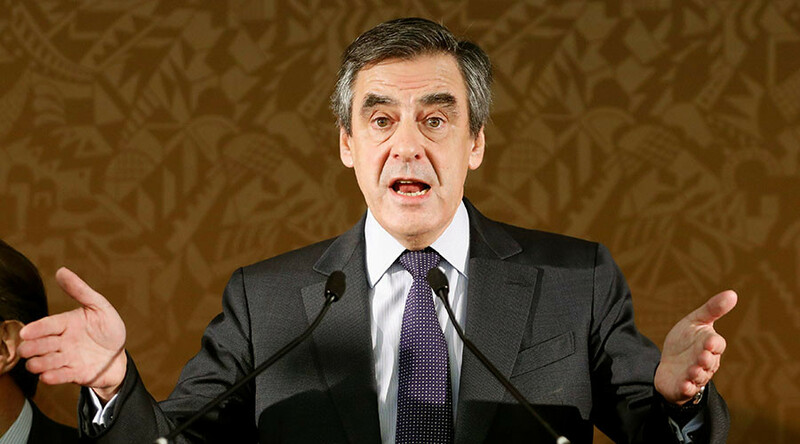 However, according to the campaign brochure of French presidential hopeful Francois Fillon, his neighboring nation remains mired in a Cold War-era split. In what has proven to be an embarrassing design gaffe, a map of Europe displaying a fragmented Germany was included in policy literature for Francois Fillon. The Republican politician, who also served as prime minister between 2007 and 2012, is currently the frontrunner in his party’s presidential primary, with the race for office due to conclude in May next year. In an effort to bring Fillon’s core policy beliefs to the people his team have published literature entitled ‘For You’. However, in a section about border control and ‘out of control’ immigration, the one-time militarised border of the German Democratic Republic remains intact despite it being wiped from existence following the fall of the Berlin Wall in 1989. Unsurprisingly the Cold-War era map has raised eyebrows among others in the German media, with Dusseldorf’s Rheinische Post labeling it embarrassing and a “small but serious mistake”. It appears Fillon’s staff have since been ordered to fix the gaffe with a gaping hole left where the map of Europe had once been.